Toilet Seat (Raised) with Lock and Lid - 2 Inch Seat Height. 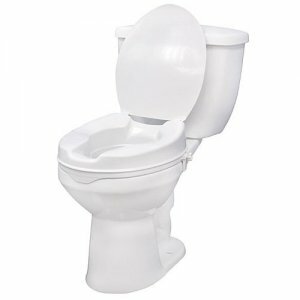 This raised toilet seat with lid by Drive Medical is designed to increase the height of your existing toilet seat. 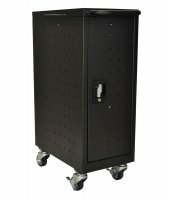 Available in a 2" elevated size providing comfort and support. It easily attaches tool-free to your toilet and locks in place using two rear locks. A pair of hygiene cutouts provide convenience and allows the product to be cleaned. The elevated seat will help individuals who need a boost sitting down or standing up from the toilet. For consumers using a wheelchair this product allows for easy transfer to and from the raised toilet seat. This product is protected by a limited lifetime warranty. Seat (Width): 14"; Seat (Depth): 16"; Seat (Height): 2"; Product Weight: 3.1 lbs.